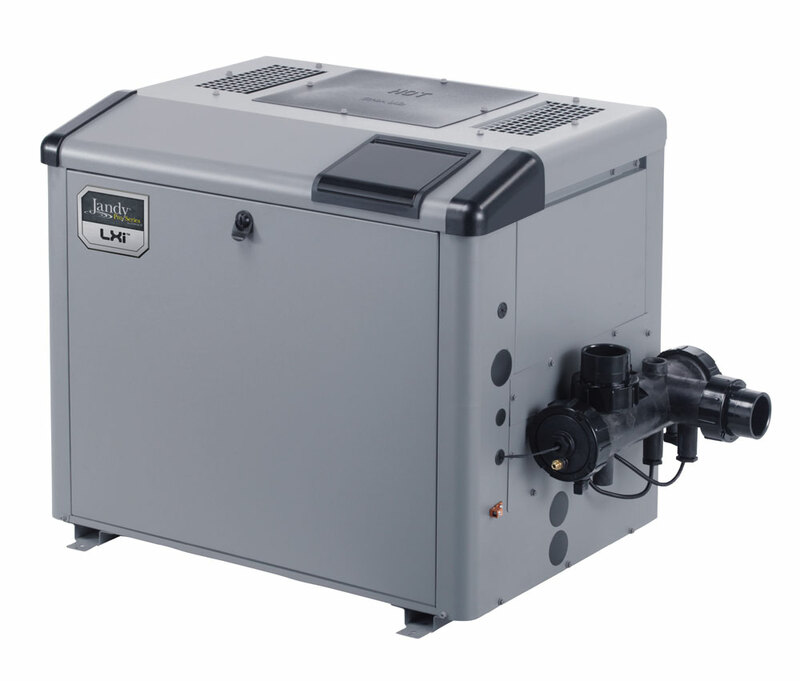 Jandy LXi pool and spa/hot tub heaters exceed environmental standards for Low NOx emissions. Lower emissions mean you can enjoy your pool or spa/hot tub with confidence, knowing your pool equipment is designed with the environment in mind. The Jandy Pro Series LXi comes automation-ready for easy integration with Jandy Pro Series AquaLink® controls and other control systems. Built-in freeze protection and exclusive "Maintain Temperature" functions are also available. The feature rich control panel has a user-friendly backlit display and a simplified menu for ease of operation. Low NOx, fan-assisted combustion and Hot Surface Ignition systems provide maximum performance in all weather conditions. Built-in one-touch automation makes pool-to-spa switching simple. Enables easy connection to Zodiac controls, and other pool/spa automation systems and automatic valve systems. Available in 250K and 400K BTU sizes. NC and PC models include copper tubes, bronze headers and ASME® Certified rating.